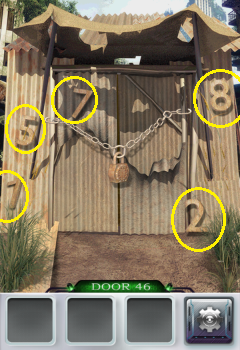 Move the panels and find the numbers. 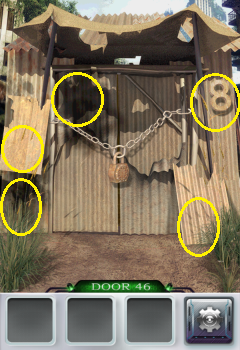 7 is on the left door and you have to swipe it to clean and see it. 1 is below 5. Tap the lock and enter 15728.